Jutting out of the red sandstone walls in the Arizona desert, the Chapel of the Holy Cross near the town of Sedona, is a marvel of modern architecture. The Roman Catholic chapel was designed by a student of Frank Lloyd Wright, sculptor Marguerite Brunswig Staude, who drew inspiration for its design from the newly constructed Empire State Building in New York. The chapel is directly over a butte, nearly 200 feet above the valley. The interior is very simple, with nothing more than a few pews and an alter. No traditional services are held within the chapel, as it is meant to be a place of reflection and meditation. The chapel is located on the lands of Coconino National Forest, and required a special-use permit to have it built. It was completed in 1956. 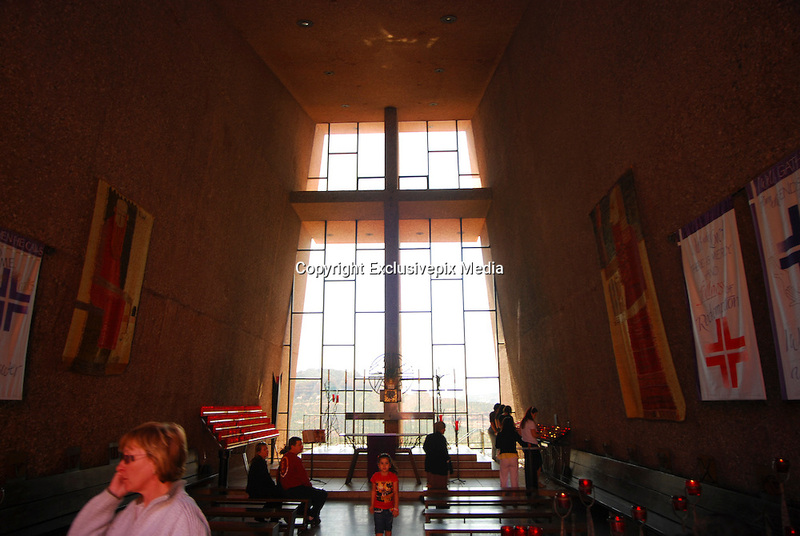 The chapel belongs to the Parish of Saint John Vianney and the Roman Catholic Diocese of Pheonix.